As Salesforce Partners, we help businesses develop better relationships with their customers, while increasing sales and service levels and reducing time spent on administrative tasks. Talk to us today about how we can help your business achieve its goals through the use of the Worlds #1 Cloud CRM, Service and Marketing Platform. Our Salesforce Consulting Services are delivered by our experienced and Salesforce Certified team of consultants. Our Consultants aim is to get to know and understand your business. Discussing with you how your business operates and the processes you have in place allows us to design your unique system. Once we have spent time understanding your processes, we will implement your salesforce instance to your specific requirements. Our team deliver salesforce implementations that work for our customers, increasing sales, service and marketing effectiveness. The Salesforce product suite are extremely effective straight out of the box. However if you require a more complex solution to meet your exact requirements, we will develop a solution just for you. Our developers have decades of experience developing software products from SME to Enterprise level. 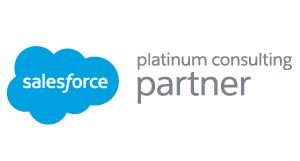 Bluewave Technology are Certified Salesforce Training Partners. All our Salesforce training programs are designed to address the specific need that each of our customers have based on their business processes and Salesforce setup. We will ensure you can effectively your Salesforce product.